The Board of Directors for the Greater Reston Arts Center (GRACE) today announced the appointment of Lily Siegel as the Center's Executive Director and Curator. She will start on December 5. The appointment comes at an important time in the Center’s history, as it builds out its Destination GRACE vision of becoming an even more robust cultural institution in the DC metropolitan region, coinciding with the arrival of the Metrorail’s Silver Line. Ms. Siegel received her BA (Visual Arts: History and Criticism) from the University of California San Diego and her MA (Modern Art History, Theory, and Criticism) from the School of the Art Institute of Chicago (SAIC). 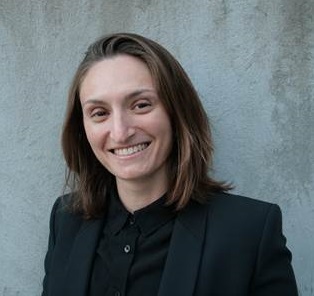 She began her career as a curatorial assistant at the Museum of Contemporary Art, Los Angeles, followed by tenures as the Assistant Curator of Modern and Contemporary Art at the High Museum in Atlanta and then as the Associate Curator at The Contemporary Jewish Museum (The CJM) in San Francisco. Since moving to Washington, DC, just over a year ago, she has continued her relationship with The CJM as a guest curator for the exhibition From Generation to Generation: Inherited Memory in Contemporary Art, which opens on November 25. She will be presenting an exhibition on the late artist Moira Dryer, Moira Dryer: Vice Versa (working title), at the Phillips Collection in Washington, D.C. in Spring 2018. Exhibition research for Moira Dryer: Vice Versa has been generously supported by a Curatorial Fellowship from the Andy Warhol Foundation for the Visual Arts.